Sonic will be running a deal where you can get a 4-piece order of Mozzarella Sticks for 99 cents all day on Thursday, April 12, 2018. 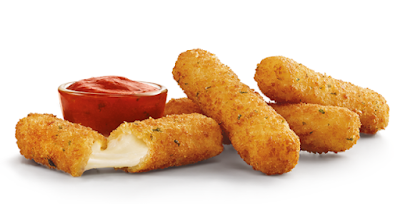 The breaded and deep-fried sticks of mozzarella normally cost $2 or more and come in a cup of marinara sauce for dipping. As is typically of most fast food deals, the promotion is good at participating locations so you might want to check ahead before making a trip.